The moco boys may have been outdone by the girls last year, but that probably will not be the case this year. Five indoor county champions in six different events return to defend their titles this year. Among them are Jamal Lynn in the 55, Wil Zahorodny in the 500, Chris Moen in the 800 and 1600, Tyler Jackson in the 55 hurdles, and Sean Stanley in the Shot Put. 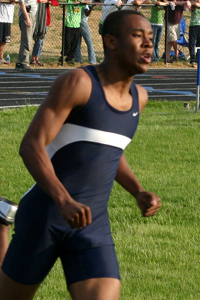 In addition, Richard Montgomery returns some stacked relay squads that can defend their titles in the 4x2 and 4x4. The field events will have several new faces to replace the old champions this year. 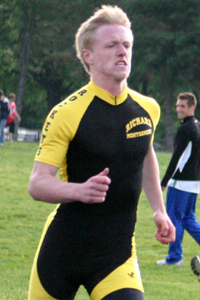 Only two county meet records were set last year, both by Chris Moen (800 and 1600). Moen will have plenty of competition to drive both of those records much lower this year. Antonio Palmer will be eyeing that 800 crown (1:58 record) while Neal Darmody and Andrew Palmer are more than capable of breaking the 1600 record of 4:25 along with Moen. Several more records appear within reach, particularly the relays. Richard Montgomery should have one of the best 4x200-meter relays this county has seen and should be able to go under the record of 1:31.5 before the end of the season. Both RM and Blair could push the 4x4 record of 3:30.45 set just two years ago and easily surpassed by similar squads outdoors. The two cross country state champions QO and B-CC can also make a run for the 4x800 county record of 8:15.01. The 3200 county meet record of 9:45 should be a lock to go down between the talented runners Neal Darmody and Andrew Palmer. Lastly, Sean Stanely will be looking to hit the shot put meet record of 54-04.25 and do much more this year after far surpassing that mark during summer track. One major thing that sets boys' indoor track apart from girls' indoor track is football season. As this is being written, the first indoor track meet is tomorrow and the football season is still not completely over. Several Montgomery County teams made it deep into the playoffs (Go MoCo! ), and as we all know, football usually attracts many of the most athletic kids at each school who also enjoy participating in track & field. The athletes on the teams that were in the playoffs typically come out for the track team much later in the winter, that is if they even decide to do indoor track. Many of the coaches in the county have a cloudy view of their teams right now, and so does mocorunning, but let's do the best we can. Richard Montgomery High School has won the past two indoor track and outdoor track county titles and they look good to defend their crown this year. What they lack in distance events, they will more than make up in the sprints and field events. In terms of short sprinters, they could be more loaded this year than they have ever been. Between four guys, they have at least two of the three top returning times in the 55, 100, and 200-meter dashes. 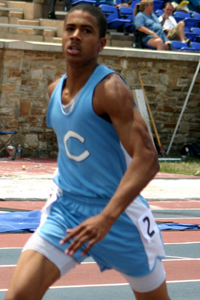 They have Seneca Valley transfer and defending 55-meter county champion Jamal Lynn, the defending 300-meter 3A/4A West champion Brendan Etzel, the top returner in the 100-meter dash and long jump, Gary Frazier, and the defending 55-meter hurdle state champion Tyler Jackson. 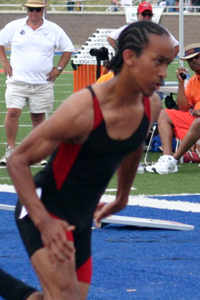 Alonzo Evans-Chase has the 3rd fastest returning 55-meter dash time in the county after his two teammates. 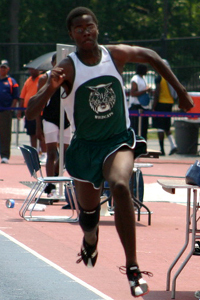 Most RM athletes can jump and run on relays as well as sprint. RM has also done a great job producing the throwers the last few years and Rubin Vample could be the next rising talent. Gaithersburg placed 2nd at last year's indoor county championship and also got 2nd at the last two outdoor county championships. This is a trend that could continue this year. Highlighting their roster is two outstanding athletes who both won intermediate age group national titles during summer track this year. Sean Stanley threw over 55 feet in the shot put this summer, a mark which would easily give him the indoor county record if he can repeat it. Antonio Palmer dropped his 800-meter personal best to 1:54 this summer and went on to place 4th in the state this cross country season, proving that he has the range to run and score in just about any race. Owen Cain will be a big contributor in the high jump and triple jump after greatly improving his personal bests over the summer. Kereem Cumberbatch will be a contributor in the long sprints, and Vikas Bhatia could step up and be a contributor in the distance events. Stanley, Palmer, Cain, and Bhatia are all juniors. Outside of Richard Montgomery, Blair is the most loaded sprinting team in the county, and they might even argue with that statement. They were only a few steps behind RM last outdoor season and with all the key players returning, they hope they can close the gap. Jonathan Haughton and Mohamed Mansaray have the pure speed for good 55-meter dashes, while Louis Varella excels in the longer sprints. Enuma Nzesi will also pitch in in the sprints as well as the jumps. Middle distance runners Nilan Schnure and Rutvij Pandya will also contribute. This all adds up to a much-improved, well-rounded team ready to turn some heads. Clarksburg's football team went deep into the playoffs in only its second year of existence. It might have had a little bit to do with some of their track guys. Avery Graham could be the most athletic young man in the county. He returns this year as a junior with the best high jump mark (6-2), the second best toss in the shot put (47-01.50), and a fast 55-meter dash time (6.8). He's backed up by Mark Small who broke 50 seconds in the 400-meter dash over the summer, and Myles Daughtry who has the 6th fastest returning 300-meter time this year. On top of all that, they have one of the top returning hurdlers in Petros Bein. It's difficult to get a good read on Quince Orchard with so many of their school's top athletes still playing football, but what we do know is that they are loaded with distance runners. The entire cross country team can spread themselves throughout the distance events and soak up points. 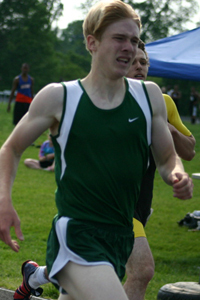 Most notable is Neal Darmody, the outdoor state champion in the 3200 with the fastest returning time. David Laratta will likely specialize in the 800, and it will be interesting to see how Wayne Bartholomew does, a 400 runner who excelled in cross country. Aside from their cross country team, Caleb Malone will be among the county's top hurdlers this season. Chris Onuigbo didn't dazzle us during cross country like Antonio Palmer did, but he built up the same base and should be right back up with Antonio on the track. It's impossible not to compare the two athletes who have had similar careers since they entered high school two years ago. Onuigbo has had the edge at the 400 and 500 where Palmer usually has his number in 800 on up. Helping out Onuigbo will be Aaron Green, who has the 2nd fastest returning 55-meter hurdles time. Also one to watch should be freshman Chris Miller who ended his cross country season giving off the impression that he was only getting started. You never know what you are going to get from Chris Moen these days, but in the worst case scenario, he will still score tons of points at the county championship. In the best case scenario, Moen breaks both of his county records and contributes to some relay points. 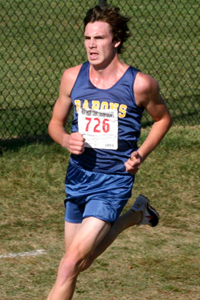 Helping out Moen will be Brian Graves who was 4th in the 3200 at last year's county championship. Add onto that some safe points from one of the best jumpers in the county, Ian Francis, and Walter Johnson is looking real good for a top ten spot. Paint Branch looks about the same as last year so a repeat of 8th place sounds reasonable. They have a powerful duo in Nicholas South and John Jones who are going to come out hard in the sprints and also team up for the relays. 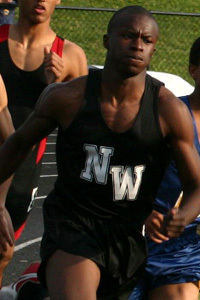 South was last year's runner up in the 500-meter dash while Jones returns with the 2nd fastest 300-meter time of 37.02. Damascus won yet another football state title yesterday (Go MoCo!). 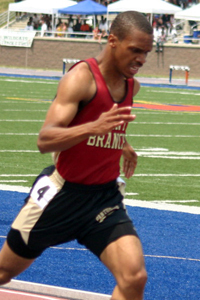 If the football team can win without The Great Jamal Currica, maybe the track team can, too. After all, they still have The Big Z, Wil Zahorodny, defending his 500-meter county crown. Zahorodny can move up or down and run any distance that's thrown at him to score big points for his team. They should also be able to put together some good 4x4 and 4x8 relays. Also watch out for their hurdle specialists, Josh Francis and Sam Weeks. 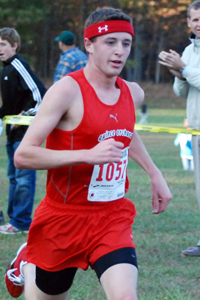 Like Quince Orchard, B-CC is coming off a state championship cross country season. Dylan Straughan, Alex Prevost, Kyle Short, and Matthew Davey-Karlson will team up for a killer 4x800-meter relay. Track is a whole different ball game, though. They must have some strong individual performances in the 800, 1600, and 3200 to score the big points for the team. They aren't completely one-dimensional however and should be able to get some points from long/triple jumpers Gil and Roger Kirk. Things keep getting better and better for Andrew Palmer. First he became the top freshman in the country by winning the Nike Outdoor Nationals freshman mile. This year he won the 4A State Cross Country Title. Expect more elite performances from him in the distance events this year. Uchenna Ahaghotu was 4th in Montgomery County and 4th at the Maryland State Meet in the Shot Put last outdoor track season. Look for him to come out launching the shot put in his senior year. The first graduating class from Northwood high school has developed quite nicely and will score more than a few points this year. Derrick Powell has great range, with top returning times in the 300, 500 and 55-meter hurdles. Giovanni Reumante is coming off a great cross country season and will be looking to improve on his 800-meter PR of 1:58. Russell Speiden had a very good outdoor track season that was possibly overshadowed by several other performances in the state. He enters this season with a 1600-meter PR of 4:25.5. With freshman PR's of 4:50 and 10:26, Nicolas Escobar enters this season after a tremendous cross country season where he placed 9th in the county, 5th in the region, and earned all-state honors.